A nightmarish scenario unfolded in Los Feliz this week, as actor Johnny Lewis allegedly murdered his 81-year-old landlady Catherine Chabot David by strangling her, and then jumped or fell to his own death off a roof. 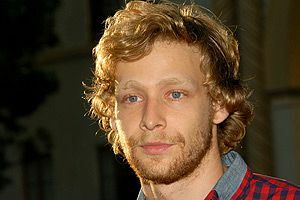 Lewis was a 28-year-old actor who worked regularly in television for years, with roles on Sons of Anarchy, American Dreams, and The O.C. He was written off Sons of Anarchy after asking Kurt Sutter to kill his character, Kip “Half-Sack” Epps. Sutter obliged, although Michael Pitt and Terence Winter style “creative differences” are also cited as a reason for Lewis’s stepping down from SAMCRO after two seasons. Lewis dated Katy Perry for a year in 2005, and remained friends with her BFF, Raising Hope‘s Shannon Woodward. Perry’s wistful hit from last fall “The One That Got Away” is reportedly about Lewis, with a lyric about him being her “Johnny Cash.” Woodward tweeted about the painful situation: “Johnny Lewis was one of my best friends. He was very, very ill. His actions were a despicable result of that. It was not who he was.” (She later deleted the message.) It is rumored that Lewis suffered from extreme mental illness, and whispered that he may have had serious drug problems as well. He had been in and out of rehabilitation clinics and jail in recent months. Police are investigating whether or not Lewis’s psychotic episode, in which he also beat two neighbors with a two-by-four, was triggered by the use of the designer drug “smiles.” Lewis displayed super-strength during the incident, which is sometimes a characteristic of PCP use. “Smiles” is a street name for 2C-I, the hallucinogen held responsible for the recent deaths of two teenagers in East Grand Forks, North Dakota Minnesota. While it’s been banned in Europe since 2003, 2C-I was technically legal in the United States until July 9 of this year, when it was reclassified as a Schedule 1 substance. 2C-I is similar to its sister in the 2C (2 carbon atoms) family, the more well-established club drug 2C-B. Both are psychedelic phenethylamines, originally synthesized and collected by cult figure and pharmacologist–psychoactive drug chemist Alexander Shulgin. Instructions on making it are listed in his book PiHKAL: Phenethylamines I Have Known and Loved. 2C-I is described as being like LSD and MDMA crossed with a strong methlike stimulant. It was sold in pills as “smiles” in Dutch smart shops starting in the 2000s until the E.U. ban. Users also take it as a powder, or mixed into candy bars. The Johnny Lewis story is the most lurid news item yet to invoke “smiles.” The alarmism about the drug mimics the summer spike of interest in stories about “bath salts” users acting out violently while on the drug. Lewis’s suicide sounds familiarly like the urban legend about Diane Linkletter jumping out a window to her death while on LSD. Brain chemistry is a strange and delicate machine, and people suffering from mental health problems often self-medicate illicitly, since medicating legally can be so inaccessibly expensive. Results vary considerably. The gray market, where consumers obtain illegal drugs, is a global gray area. “Smiles” has been available in America for over a decade, but the sudden national interest in publicizing and demonizing the drug is very recent. It might be a sign of incoming DEA blowback against other potentially dangerous unscheduled drugs. Or maybe it’s just that it’s been a few months since we had a new major drug scare and “smiles” is a catchy innocuous-sounding name ironically attached to horribly tragic news stories. Breaking Bad has “Blue Sky” meth and The Wire‘s dealers slung “WMD.” Branding is everything, even when it comes to under-the-table businesses. On Internet drug forums there are plenty of satisfied online testimonials from still living consumers of “smiles” (albeit ones who write things afterward like “there were, and possibly are, two me’s”). Asking around, I found that several friends had taken 2C-I in college, had never heard it called “smiles,” and likened it to taking ecstasy. In one news clip about the Johnny Lewis story, a local resident describes Los Feliz as a quiet town where things like this don’t normally happen, perhaps unaware that the LaBianca family portion of the Manson Family murders took place in the picturesque upscale neighborhood in 1969. (The former LaBianca Market is now a popular Trader Joe’s). What Johnny Lewis did seems unpardonable, but if he was indeed very seriously mentally ill, it’s possible to feel sympathy even for someone who may have beaten an elderly woman to death and dismembered her cat. Whether motivated by drugs or not, the whole story is very strange and sad. Lewis was a decent actor, and clearly a very troubled guy. It’s unfortunate that he will now be remembered for this.